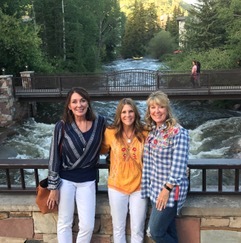 Back in September 2016, Texan Karen Clark was visiting Vail, Colorado with her husband, some friends — Beth Paterson and Leisha Scaling — and their husbands. Karen, Beth, and Leisha had never really fished before. But they went out with Katie and Cooper Anderson (of Anderson’s Fish Camp) and were instantly hooked on the sport. “We loved it so much that we decided to form a little fly fishing club and start an Instagram account,” Karen says of herself and her two friends (all of whom live in the Dallas area). And that’s how 4 Seasons Fly Gals was born. When I caught up with Karen and Beth, they were visiting Karen’s rental cabin in Branson and had been out fishing on Lake Taneycomo in 24-degree weather. The Fly Gals have added another twist to their new pastime, as well. Gals have also started tying their own flies. 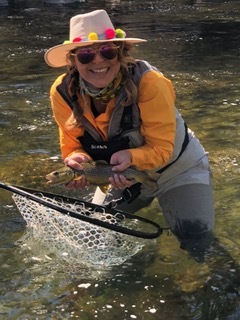 As much as they enjoy fly fishing, the Gals are occasionally met with incredulity. 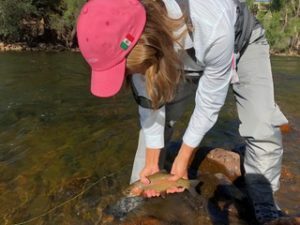 For the Gals, the learning has been a big part of the joy they’ve found in fly fishing. She referred to their outing that day as an example. “Today was the first time that she went out and waded by herself, and she caught her first fish,” Karen says. “Without a guide,” Beth clarified. 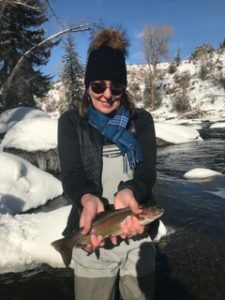 Most importantly, the Gals are creating many memorable moments as they continuing honing their fly angling skills — even if some of them don’t involve catching fish. Beth recalled a recent trip to Mexico. Although the fly outing didn’t go as planned, Karen did get a jack crevalle on spinning gear after they returned. “That was a little more fun because we really didn’t know what we were doing with the other,” Karen says. Karen and Beth have a wonderful sense of humor about some of their missteps. Make no mistake, though. 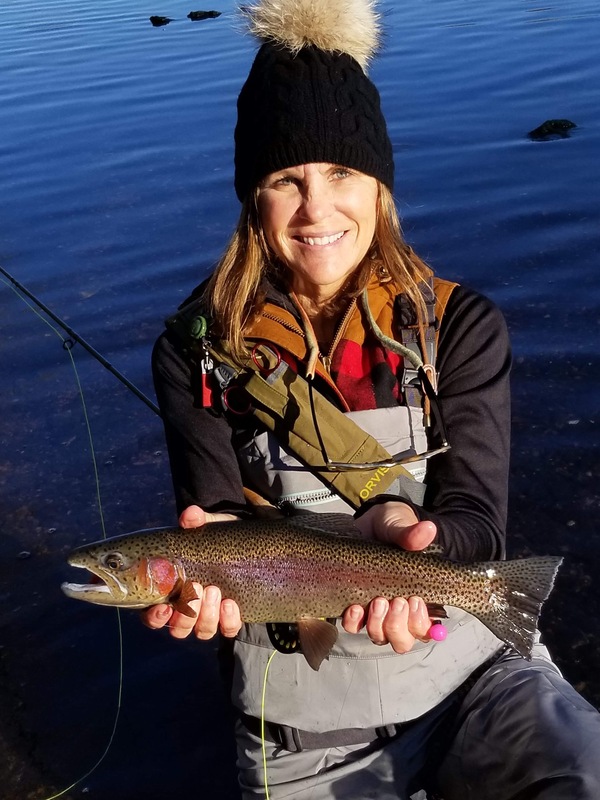 The Gals catch plenty of fish, and their enthusiasm for fly fishing has taken them on plenty of adventures. Receive exclusive offers, news and more!